Today... the perfect date, April 25th. 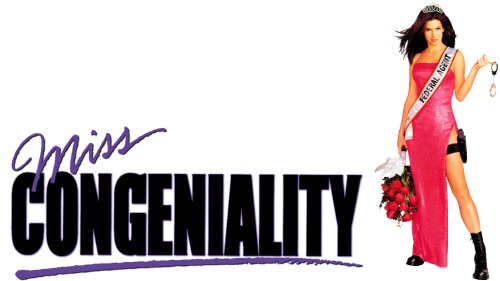 What better day to finally publish my filming location visits for Miss Congeniality? Although this is definitely not my type of movie, I got a kick out of the film and still holds up for many laughs for me. So let's get going. The pictures are a mix of a couple different trips to San Antonio and Austin, Texas. In the opening credit scene, the restaurant has undergone major renovations as well as the buildings across the street. I also found a couple spots in the back alley from the film, although a lot of it was blocked by garbage bins and a portable restroom. The restaurant is located at 409 Colorado Street in Austin, Texas. The beginning of the film is set in New York City and they actually shot several scenes there. As Gracie goes to work, she leaves her house in New York and is transported to Austin at the corner of Congress Avenue and West 6th Street. She pulls up and stops in at Starbucks at 600 Congress Avenue in Austin. It's still a Starbucks but the interior has been remodeled since filming. Next we go to the hotel, which is the Omni Austin Hotel Downtown located at 700 San Jacinto Boulevard. (This is right by the main location for Office Space!) I did stay at the hotel during my visit, more on that later. We have a quick shot of the theatre which is actually Bass Concert Hall at the University of Texas at Austin, located at 2350 Robert Dedman Drive. We'll hit this location more later in the film. Back to the hotel... Gracie's room was number 103. I did go to that room and the configuration of the hallway looks nothing like it, nor do any other hallways, so likely a set built for the film. Still at the hotel, Eric and Grace walk back to her room. 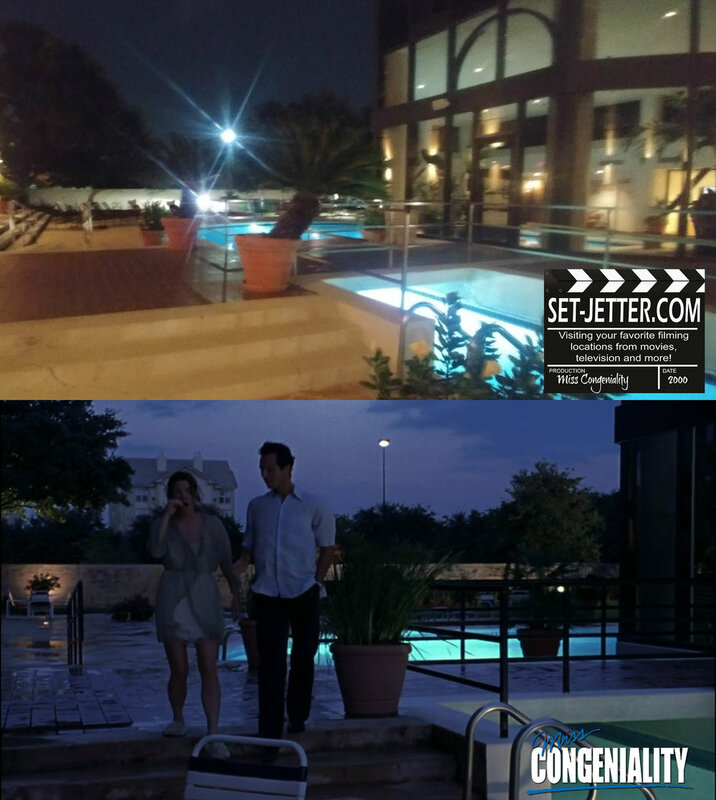 Sorry these shots are so fuzzy as it was extremely hot and muggy in Austin that night, plus the pool didn't help any! Some quick establishing shots of San Antonio and the Alamo! The talent portion of the beauty pageant.... I mean, scholarship program, takes place at the Alamo in San Antonio. 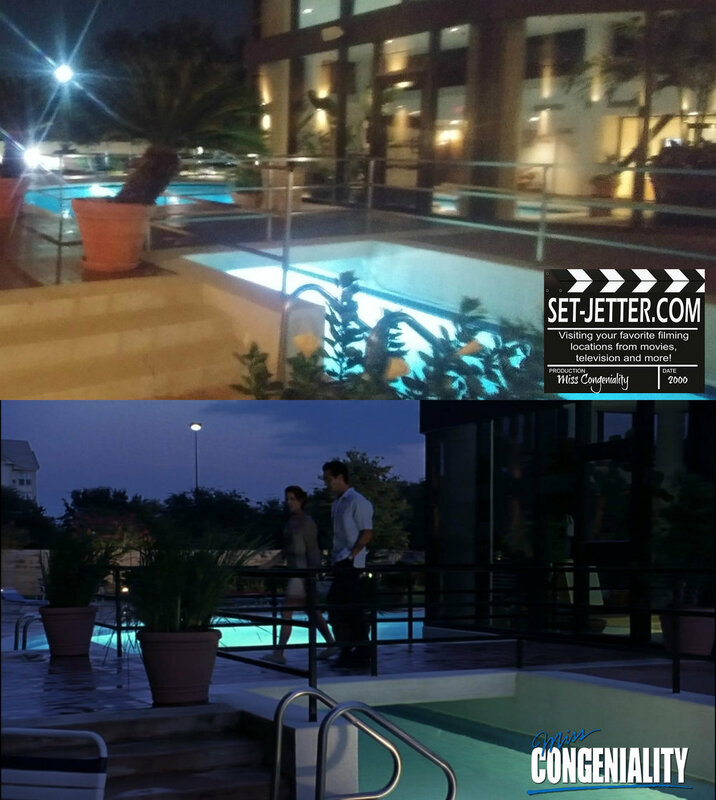 Back at the hotel again and more fuzzy shots by the pool! Who wouldn't jump in with Benjamin Bratt in there? Back in San Antonio for the swimsuit competition. This was shot at the Arneson River Theatre at 418 Villita Street. All these shots were taken from the riverboat ride. "That would be harsher punishment for parole violators, Stan." "That's a tough one. I'd have to say April 25th because it's not too hot and not too cold. All you need is a light jacket." Back to the hotel, where it's time to leave for the show! Love Candice Bergen, why isn't she in more things? Search our site for your favorite set!